It’s the New Year, and already we’ve been bombarded with exciting transit and technology stories that are shaping how we move. Many of these range from the familiar (ride-hailing services on the rise) to the “out of the box” ideas (train cars as hotels). Check out our top stories we’ve found and rounded up for you up to kick off 2019! When it’s time to book your next vacation, you soon could book your stay at a retired train rail car! Bay Area Rapid Transit (BART) – the rapid transit public transportation system serving the San Francisco Bay Area in California – is looking for ways to retire its ageing rail cars and is considering selling vehicles to another transit operator for use, recycling or scraping “to the highest bidder,” reusing for housing or as a restaurant or memorabilia, according to agency documents. One party has even reached out to the agency about buying BART cars to use for Airbnb listings. BART staff also plans to save usable parts from the retired vehicles, which could influence where they are sold or donated. The agency is also considering giving rail cars to museums, keeping some for “special service,” or donating them for use in art projects, to the U.S. Army for exercises and drills or to technical schools to encourage trade students to learn engineering skills. Can you believe that we’re getting to the point where many of us are ditching our cars more and getting rides in real time via ride-sharing services? Well, believe it! Today, 36 percent of U.S. adults have used a ride-hailing service such as Uber or Lyft, according to a Pew Research Center survey conducted in fall 2018. By comparison, just 15 percent of Americans said they had used these services in late 2015, and one-third had never heard of ride-hailing before. At DCTA, we are changing the way we do business, and a key way to innovate our service offerings is by partnering with ridesharing companies, such as Lyft, to provide more cost-effective and real-time mobility solutions. 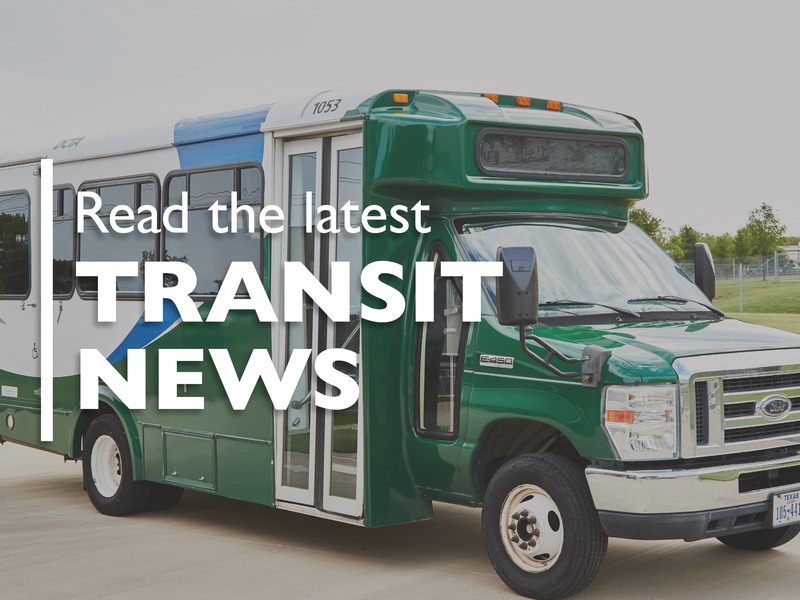 Our partnership with Lyft has led to the launch of two programs for key parts of our service area: our Highland Village Lyft discount and University of North Texas (UNT) Lyft program. We don’t plan to stop with just these two programs, so make sure you follow us to stay updated on future program launches! It’s already been an eventful 2019 as our country has experienced the longest government shutdown in U.S. history. Many federal and government workers are going without pay, and many industries are starting to feel the effects – with one of them now being public transit. Many public transit agencies are trying to figure out how to make their dollars stretch in the meantime – by either tapping reserves or taking out loans. The shutdown of the Federal Transit Administration (FTA) – a key funding source for many transit systems – can even make it difficult for systems that have money to spend it. Even once the shutdown is resolved, transportation funding faces uncertainties in Congress that could delay construction projects. Have a question or comment about one of the stories listed? Leave your comment below. We’d love to hear from you!